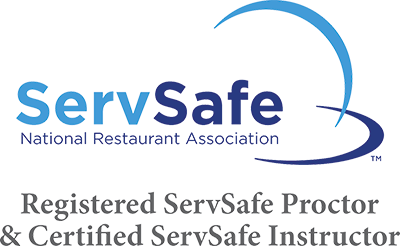 HRFoodSafe is a national company based in New England that specializes in Food Safety Training and Consulting for the hospitality industry. Bud Konn, the owner, maintains more than 35 years of Hotel and Restaurant Management experience. He has worked for hotel organizations such as Marriott, Sheraton and Harley Hotels and as Managing Partner with restaurant concept LongHorn Steakhouse, as well as being an owner-operator of a retail and catering establishment. He is CP-FS certified by NEHA and HACCP certified. Our instructors also maintain several years of hospitality industry experience and have a strong background in food safety education. HRFoodSafe has held thousands of ServSafe® FPMC food safety classes and ServSafe® Alcohol classes. We also offer NRFSP as well as Prometric FPMC programs and HACCP training. HRFoodSafe will share real life experiences as well as the technical aspects of food safety. We are the leader of food safety training in New England, offering the most convenient and affordable class schedule available. To provide Personalized Service, Integrity, and Commitment in all we do! We look forward to assisting you with your food safety needs.